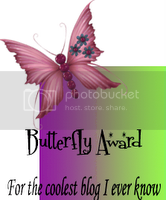 Posted on June 8th, 2010 by roxxyroller in Giveaways Canada. http://www.flatironexperts.com/Mi-TUUNZ-World-First-MP3-Nano-Ceramic-Flat-Iron-s/235.htm <–Flat Iron with an MP3 Player built in…WOWWWWW lol This is def­i­nitely some­thing i would love to have!!!! I’d love to have the Avanti wet/dry flat iron http://www.flatironexperts.com/Avanti-Wet-Dry-Nano-Titanium-Ceramic-Flat-Iron-p/wd-avcroc.htm. my entry on what I like doesn’t seem to appear and I have tried to enter it more than a dozen times. I would like the T# Glow wet or Dry Tour­ma­line ceramic flat iron, so nice. I love the Avanti Wet-Dry Nano-Titanium Ceramic Sil­ver Dig­i­tal Flat Iron most. i’m subbed to your rss feed! the http://www.flatironexperts.com/Velecta-Paramount-Tourmaline-Ceramic-Hair-Dryer-p/tgrzen.htm would be amazing! Have Your But­ton here #1 http://rocketgirl00.blogspot.com. 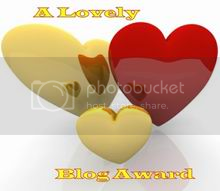 Have Your But­ton here #2 http://rocketgirl00.blogspot.com. Have Your But­ton here #3 http://rocketgirl00.blogspot.com. Have Your But­ton here #4 http://rocketgirl00.blogspot.com. Have Your But­ton here #5 http://rocketgirl00.blogspot.com. My favourite is the Baby Bliss blow dryer. 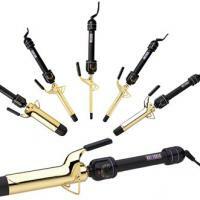 FB fan #2 Ann N.
I would love to have their Babyliss Pro Ceramic Curl­ing Iron (5/8″) — BABC58SC! I fol­low @coolcanucks and @FlatIronExperts on Twit­ter, @daer0n. I am a fan of cool­canucks on fb, Daeron Mel. I am a reg­is­tered mem­ber of cool­canucks forums, my user name is daer0n. I like the babyliss curl­ing iron: http://www.flatironexperts.com/Babyliss-Pro-Tourmaline-Curling-Iron-p/btm5100sc.htm…thanks! http://www.flatironexperts.com/Babyliss-Pro-Tourmaline-Curling-Iron-p/btm5100sc.htm…I would love this! Thanks! http://www.flatironexperts.com/Avanti-Ultra-Wet-to-Dry-Digital-Flat-Iron-p/av-titan.htm this looks like a time­saver and a very cool itron too! I would love to have the Hot Tools Pro­fes­sional Spring Curl­ing Iron (1″) — HT1181 , http://www.flatironexperts.com/Hot-Tools-Professional-Marcel-Curling-Iron-p/ht1108.htm. Thank you!! My aunt gave me this as a gift and it’s awe­some. My hair stays pin straight and frizz free all day long. Become a Fan of Cool­Canucks on our Face­book Page! 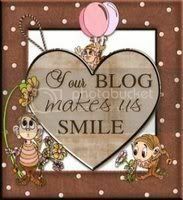 Cute and Cre­ative Web­site!! :) Thanks for the give­away!!! Look for­ward to fol­low­ing you in the future!!! I love the KQC X-Heat Tour­ma­line Ceramic Flat Iron (1″ inch)! I love the http://www.flatironexperts.com/Velecta-Paramount-Tourmaline-Ceramic-Hairdryer-p/tgrzen.htm Thanks! I’m fol­low­ing via GFC, thanks! I’m an email sub­scriber, thanks! 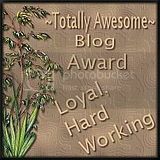 I fol­low your blog via GFC. I fol­low @coolcanucks and @FlatIronExperts on Twit­ter (eveningstarr1). I fol­low cool­canucks and FlatIronEx­perts on twit­ter (evenstarss). Isi­nis Ceramic 3 Bar­rel Wav­ing Iron with Spring Han­dle (5/8″) — ISI-330SC : http://www.flatironexperts.com/Isinis-Ceramic-3-Barrel-Waving-Iron-p/isi-330sc.htm How fun! I’d love to also have the “Babyliss Pro­fes­sional Elec­tric Hair Set­ter”. Thanks. i fol­low @coolcanucks and @FlatIronExperts on twit­ter — js22222222 . I tried to fan you on face­book, but your links brought me back to my home page!